Every private dining room is elegantly appointed with the warmth of mahogany, the comfort of leather and the glow of brass accents. All offer you the intimate atmosphere that makes special gatherings, well, special. 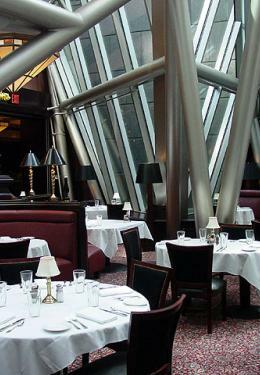 In addition to our private rooms, we are pleased to offer a unique dining experience at The Chef ’s Table, seating capacity: 10.